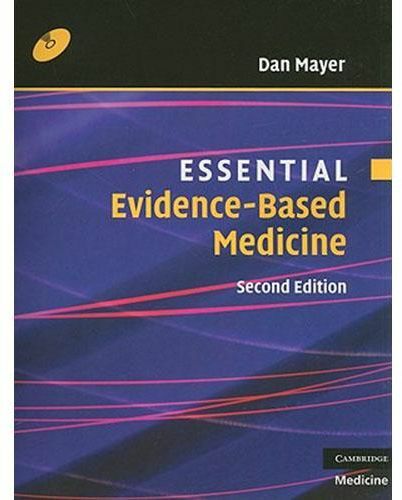 Essential Evidence Based Medicine teaches the principles of research study methodology and design so that the reader can become better at critically analyzing scientific and clinical studies. It describes the basic elements needed to understand biostatistics and epidemiology as applied to health care studies, and how to become a more discriminating reader of the medical literature by adopting the skills of critical appraisal. This new edition is extensively edited and updated, and includes two entirely new chapters on critical appraisal of qualitative research and communicating risks and evidence to patients. The text is geared towards the new learner, and assumes little clinical experience, starting with the basic principles of critical appraisal. A CD ROM accompanies the book to enable students to test their learning through a series of questions, with answers provided. This is an ideal introductory text for medical students, health sciences students and a wide range of other healthcare professionals.